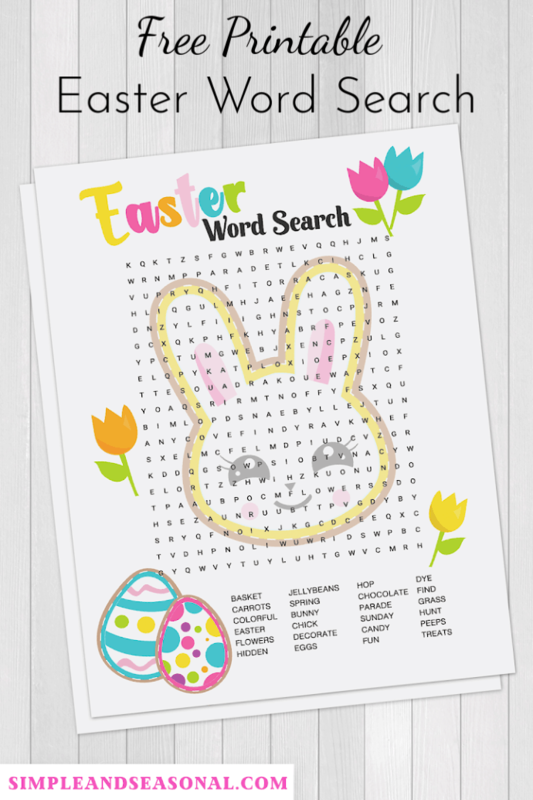 Celebrate Easter with this colorful (free) Easter Word Search! It’s good for your brain and fun for kids and grown-ups alike! 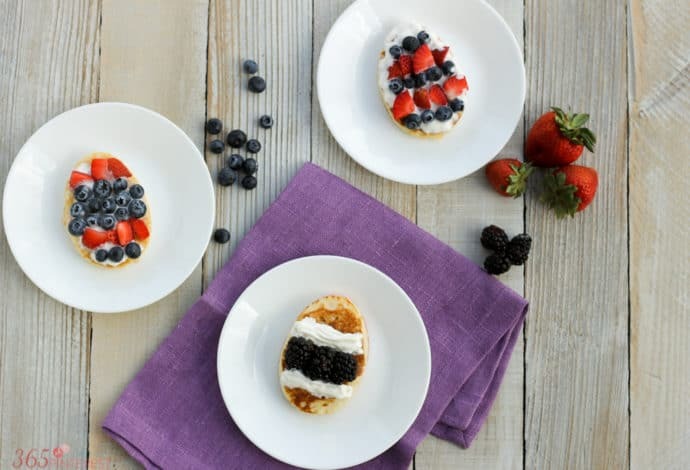 Plus get 4 more great ideas for Easter fun. Charlie, our youngest, doesn’t get as much homework as his older brothers do. He’s also really into word searches and puzzles lately. So when his older brothers are doing their homework in the afternoon, he often asks me if I will print out a word search for him to do for fun. I figured it was high time I posted some of my own holiday word searches for everyone to enjoy! 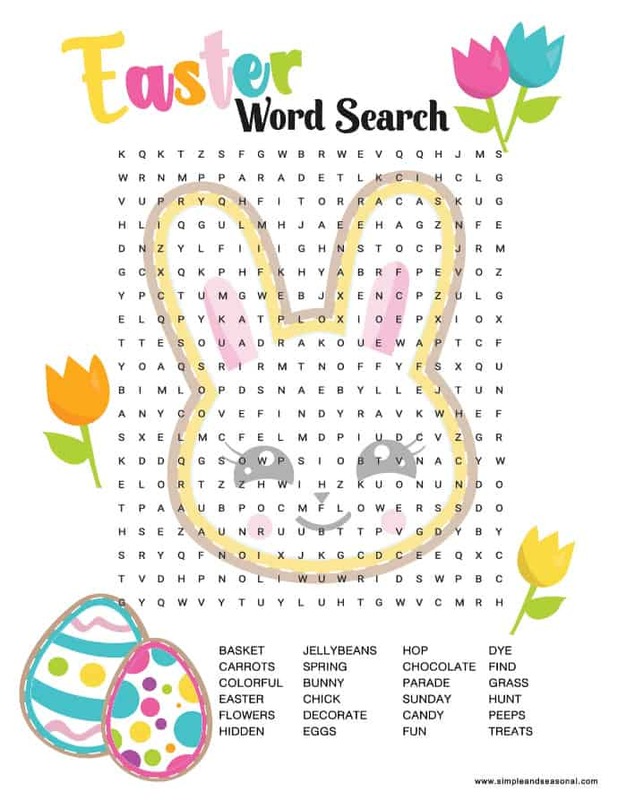 Download the free Easter Word Search below, and check out a few more fun ideas to do with the kids this Easter! Think gingerbread house, but for Easter. 🙂 Grab some peeps, candy eggs, graham crackers and icing and get decorating! 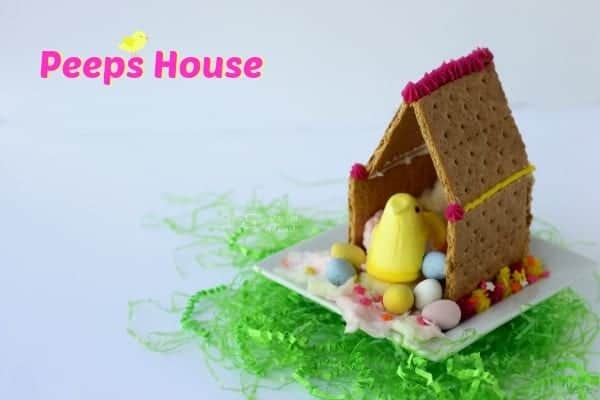 You can read more about making your own Peeps House here. I don’t do crafts very often, so when I actually make something that turns out well, I’m very excited about it! This is a great way to use up leftover scrap paper and honestly takes no real skill at all. 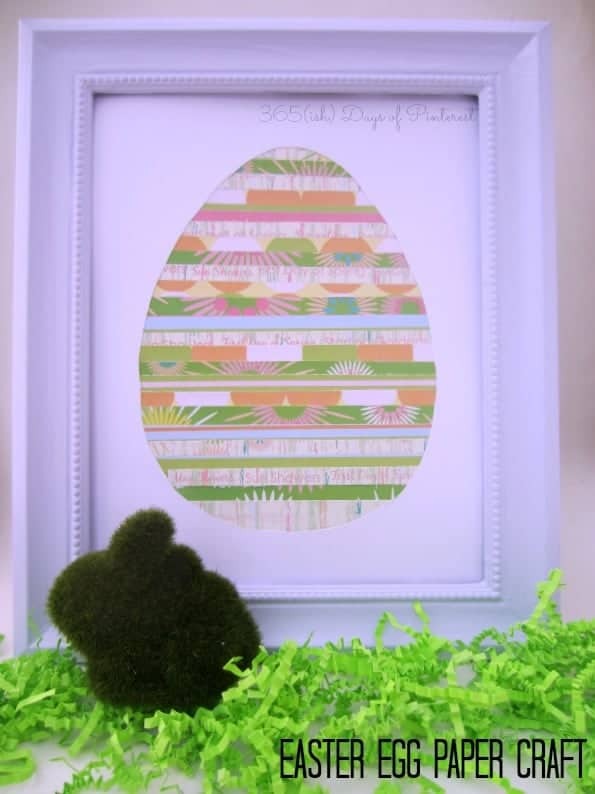 If you can cut paper, you can handle this Easter Egg Paper Craft. 🙂 Trust me. This post about easy Easter Cupcakes covers two things: how to make a small batch of cupcakes (only 6 total so there’s no waste!) 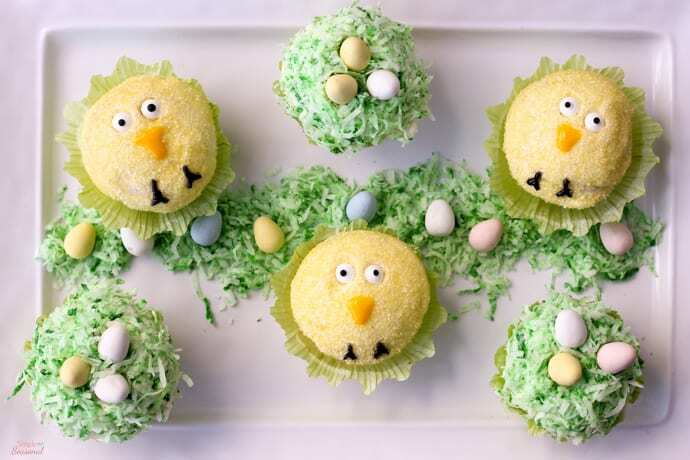 and how to decorate them to look like chicks or nests! 🙂 If it’s something I can do in just a few easy steps, then I’m on board! My kids like this kind of treat, too. Now it’s time to grab some pretty colored markers or pencils and get started on the Easter Word Search! You can download a printable PDF version of the image above by simply clicking here —-> Easter Word Search 2 or on the image above. It will open up in a new window and you’re ready to print! Please keep this for personal use only.